Retired businessman Les Hutchison is close to concluding a deal to help fund a fans' takeover at Motherwell. Supporters group the Well Society has been trying to raise money to buy former chairman John Boyle's 70% shareholding. The organisation said in November that it had raised £500,000 and was targeting a further £1m in loans. Lanarkshire-born Hutchison, based in Barbados, comes from an electrical engineering background. The 60-year-old was vice president one of Canada's most successful energy services companies, having once been on the books of Albion Rovers as a goalkeeper. Motherwell, currently searching for a new manager, have been runners-up in the Scottish top flight in the previous two seasons but have been running at a loss. The club lost a combined £780,000 in over campaigns 2011-13 and has predicted a further loss for the last term. 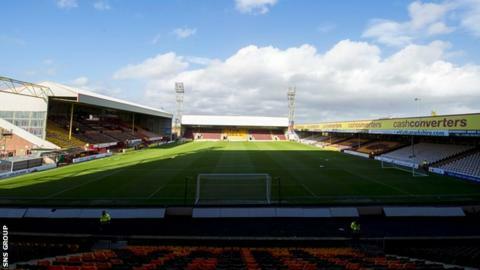 Motherwell refused to comment on any takeover developments, citing a confidentiality agreement. However, general manager Alan Burrows told BBC Scotland on Friday: "I think we are in the final stages and are confident of a good outcome. "It was John's vision to have this model. His biggest consideration is to make Motherwell safe and secure. He committed three years ago to this fan ownership, he wants to see this through." On the Well Society's fund-raising efforts, Burrows added: "Some say that because they have not reached the £1.5m target it's a failure but that is not the case. Sometimes it's difficult to raise money in 'non crisis situations'. "The financial situation here at Motherwell has been well noted over the past few years. "There are a couple of months during the winter when cash flow becomes quite tight and they have provided a real buffer zone and helped us out of a hole at times. They will form a key part of the future discussion of the club."